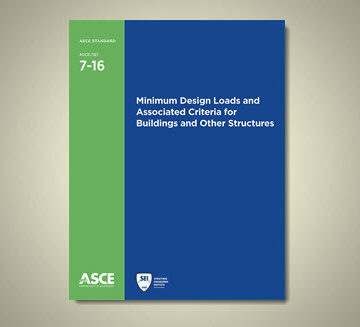 This week, ASCE publishes its signature standard, ASCE/SEI 7-16, Minimum Design Loads and Associated Criteria for Buildings and Other Structures. It is the first update to the essential resource in nearly seven years. 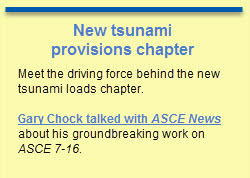 “ASCE 7 continues to be the very best resource for information about loads that occur in structures,” said Donald Dusenberry, P.E., SECB, F.SEI, F.ASCE, past-chair for the ASCE 7-16 Committee. The standard will be available in print and as an e-book for purchase in the ASCE Bookstore. 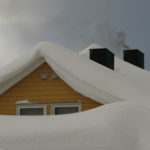 The new edition features several important technical updates from the 2010 edition, including new wind-speed and seismic maps, new state-coordinated snow data for seven mountainous states, and entirely new chapters on tsunami and fire design. Additionally, for the first time, ASCE and the Structural Engineering Institute have developed two new digital products to support both the new 2016 and current 2010 editions: the user-friendly ASCE 7 Online platform and the ASCE 7 Hazard Tool. Now structural engineers and building officials can access and search ASCE/SEI 7 digitally. “It sounds simple, but these tools represent a great advance forward,” said David Odeh, P.E., S.E., F.SEI, F.ASCE, principal of Odeh Engineers Inc. in Providence, RI, and past president of SEI. The online platform is slated for release later this summer. The hazard tool will officially launch this fall – available for purchase by yearly subscription – but in the meantime, members can access it for free through Aug. 31. The ASCE 7 Hazard Tool is uniquely developed to provide all the standard’s hazard data in one tool. The next edition of ASCE 7 is planned for 2022. Those interested in contributing are encouraged to submit an application for consideration to participate on the ASCE 7 Main Committee or a Subcommittee. Learn more about ASCE and SEI Standards. Thank you for sticking to the longer cycle between releases. With design aids and design use, software, etc., frequent updates to loading and code provisions is counter productive to engineering processes. When the adoption process by municipalities is slower than your release schedule, we end up not using the newer releases until well after they are published.